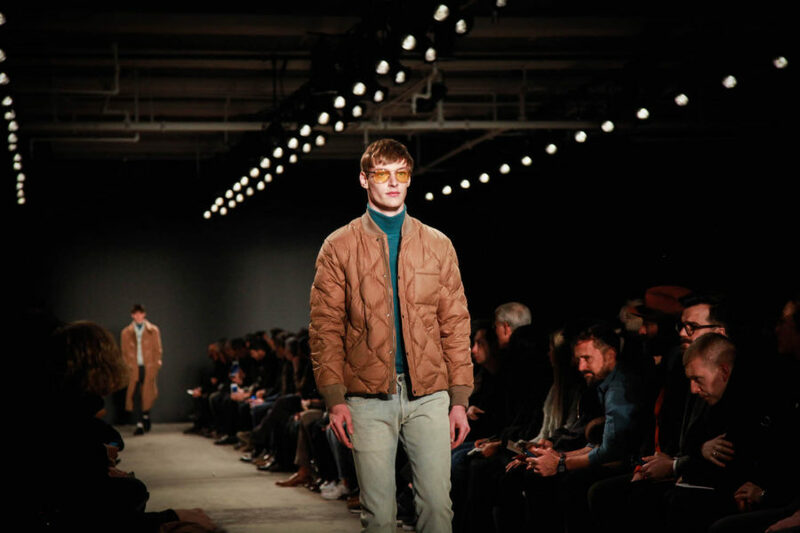 “I took varsity, military and prep, put it all in a blender and this is what came out,” Todd Snyder told reporters backstage during his blockbuster fall show. 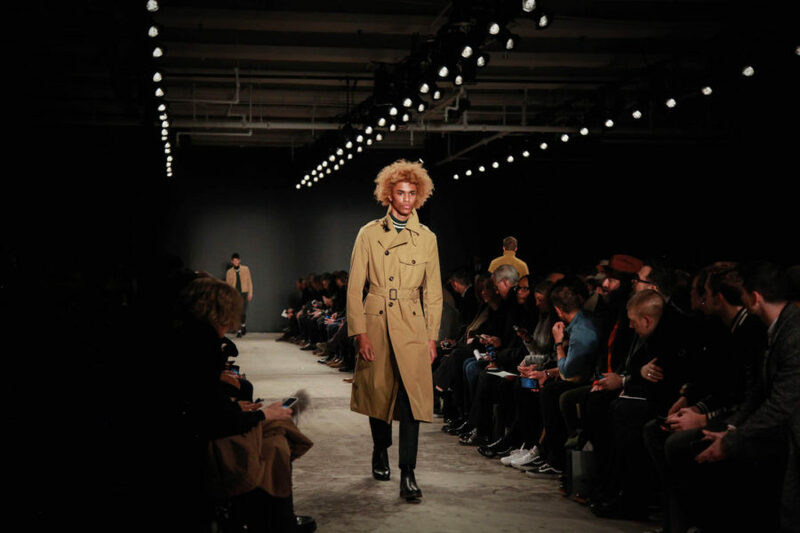 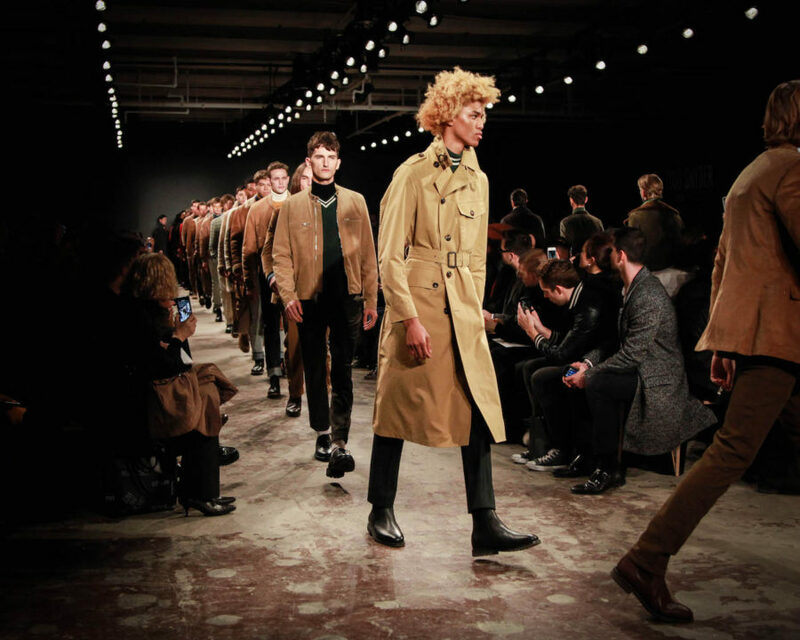 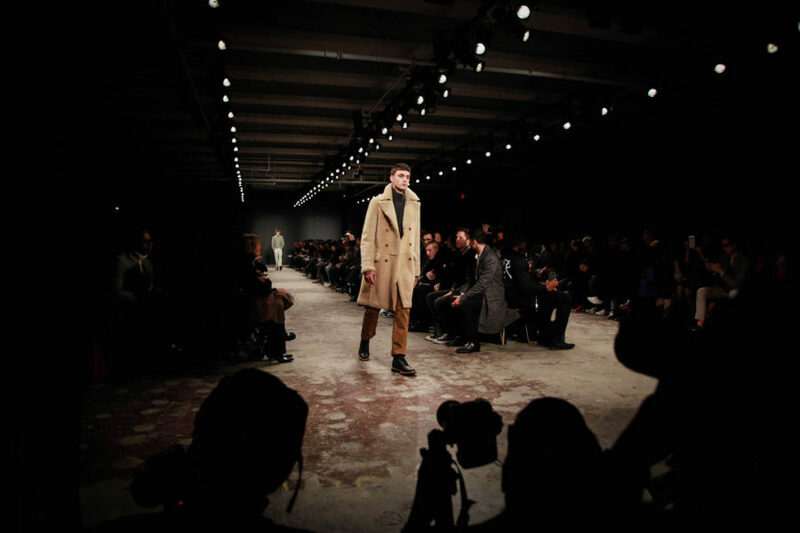 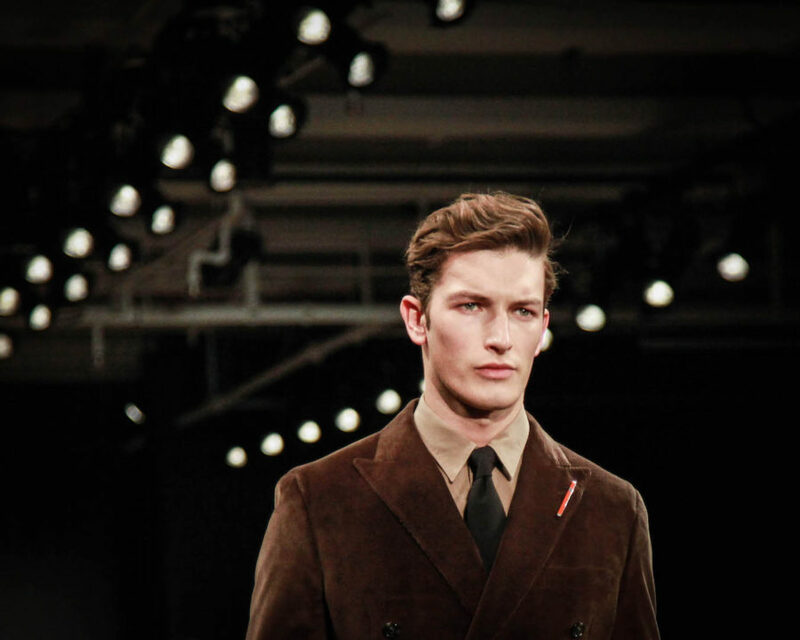 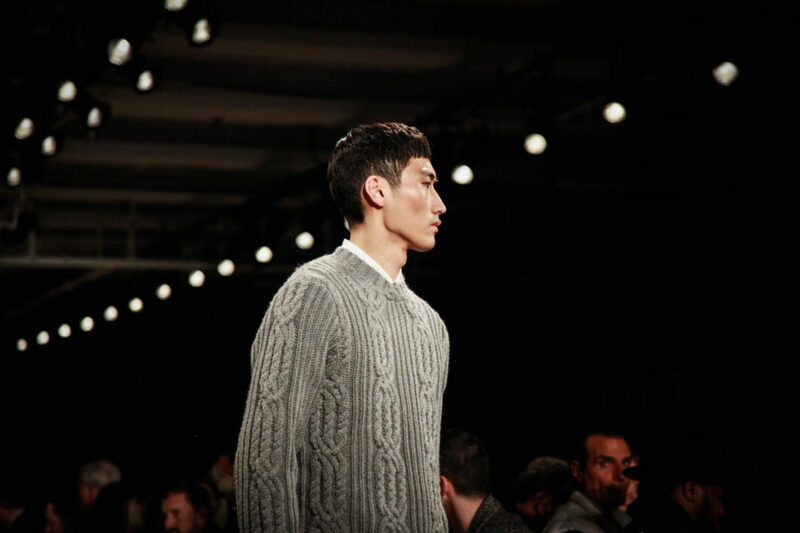 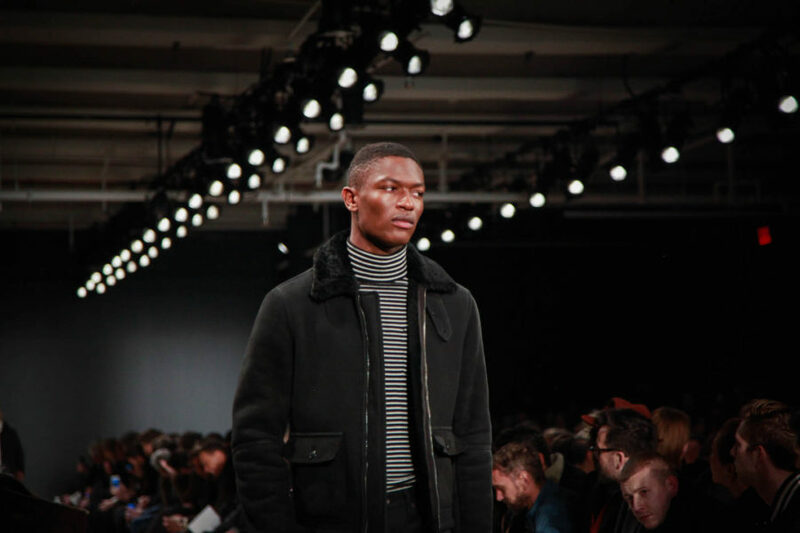 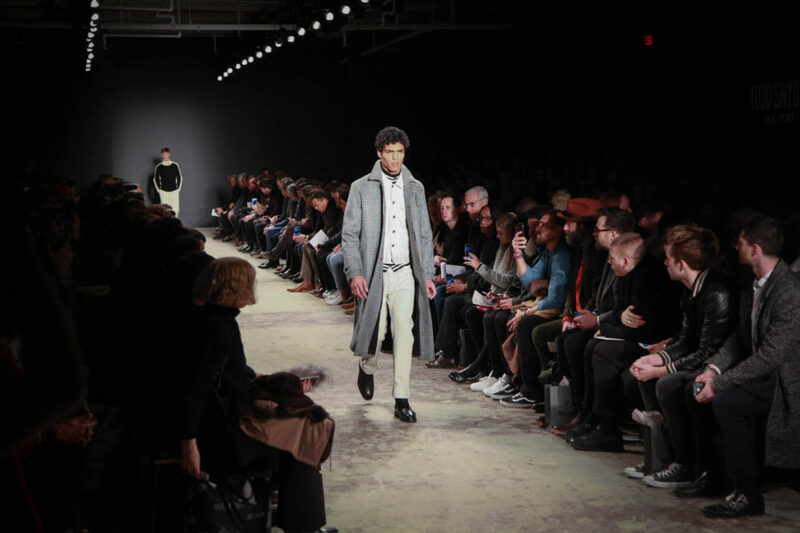 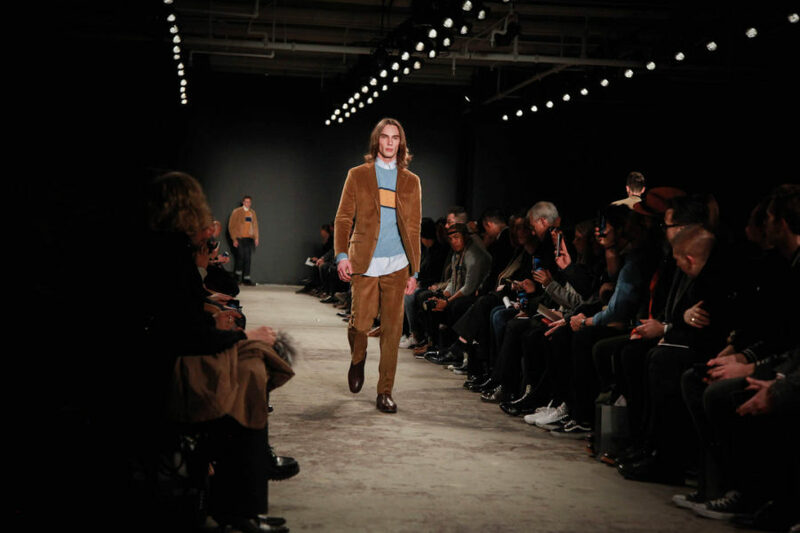 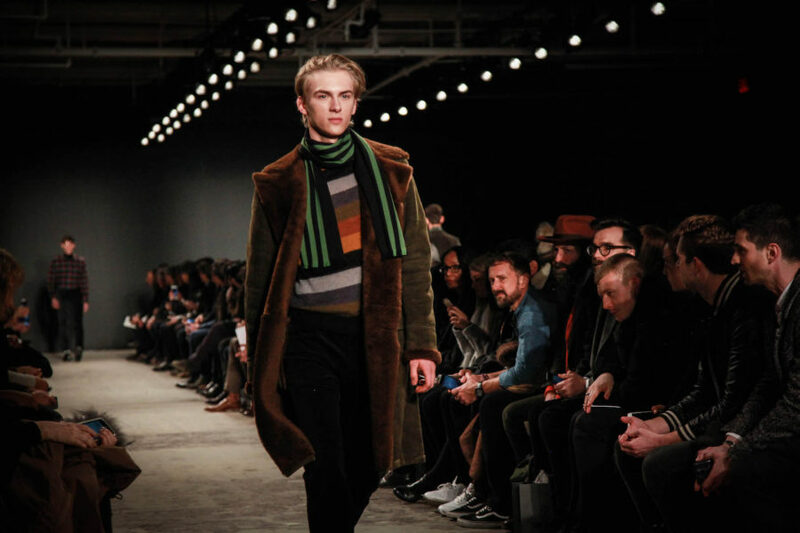 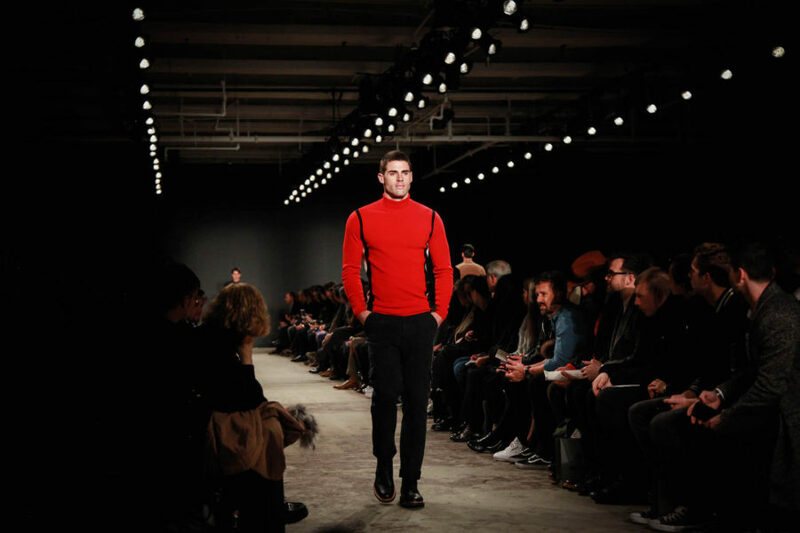 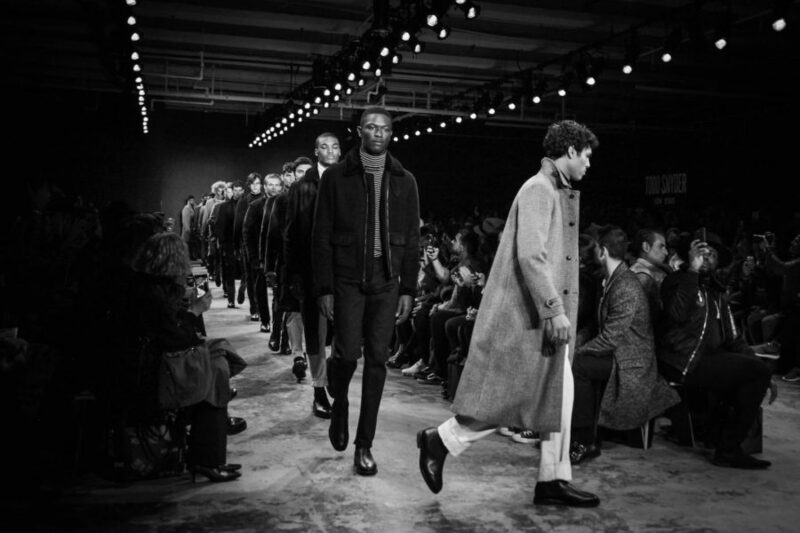 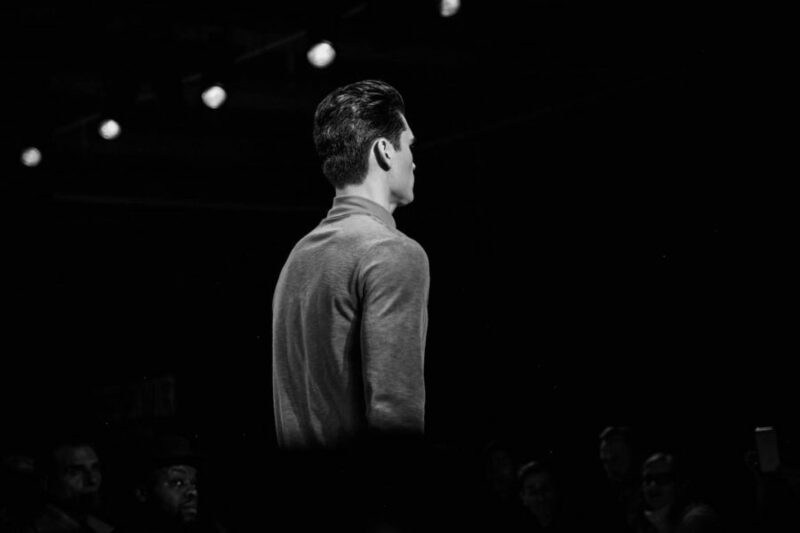 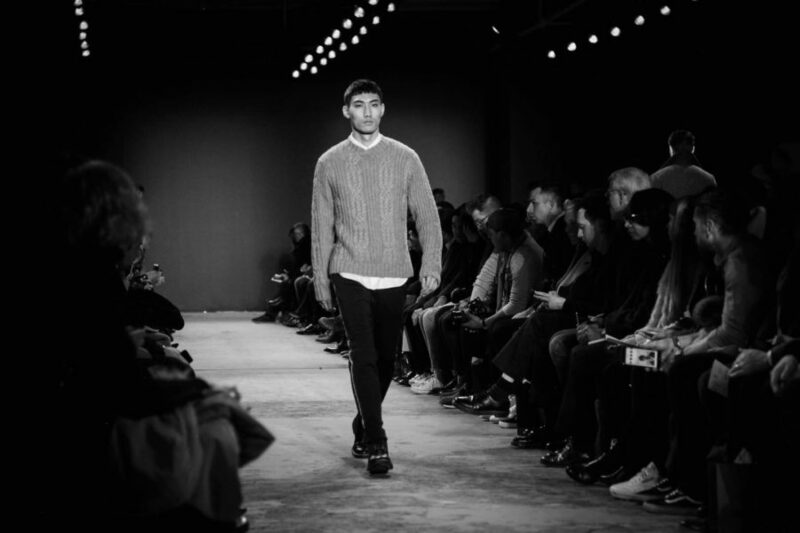 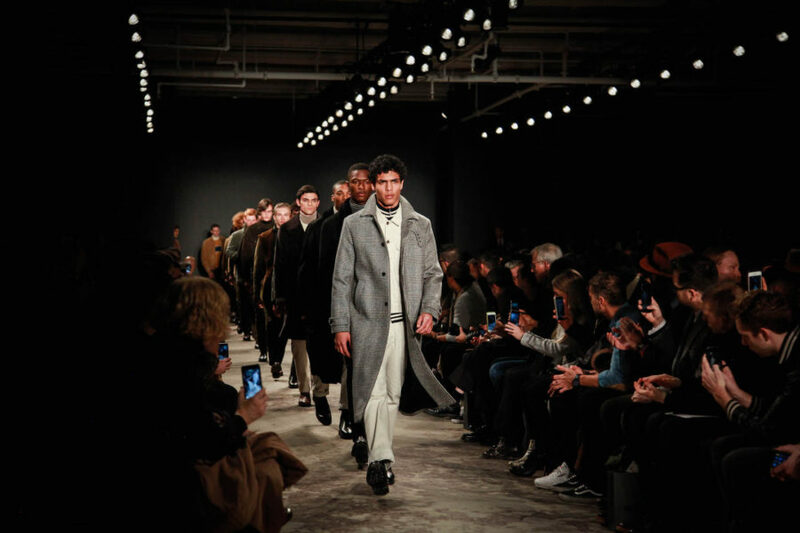 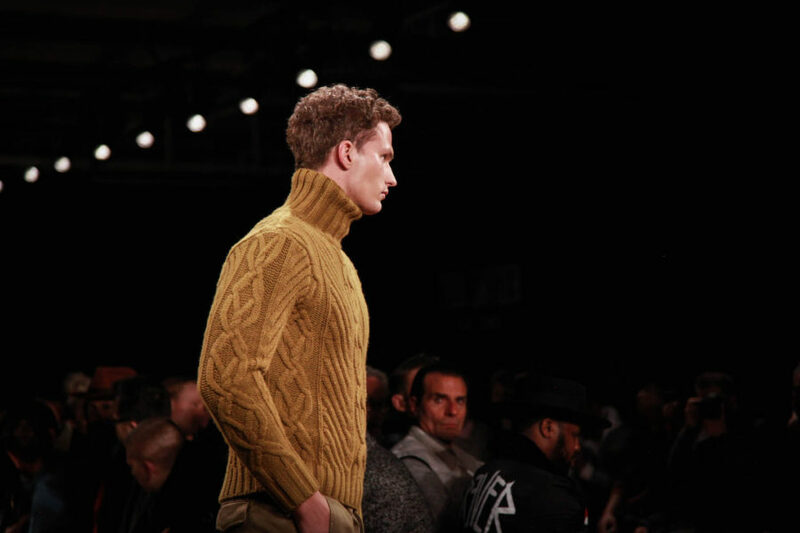 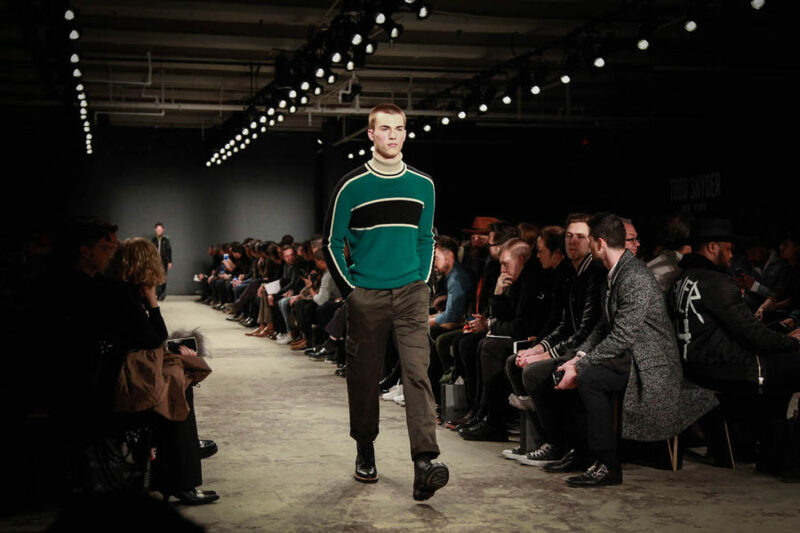 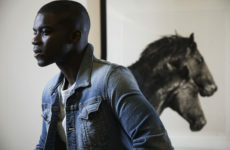 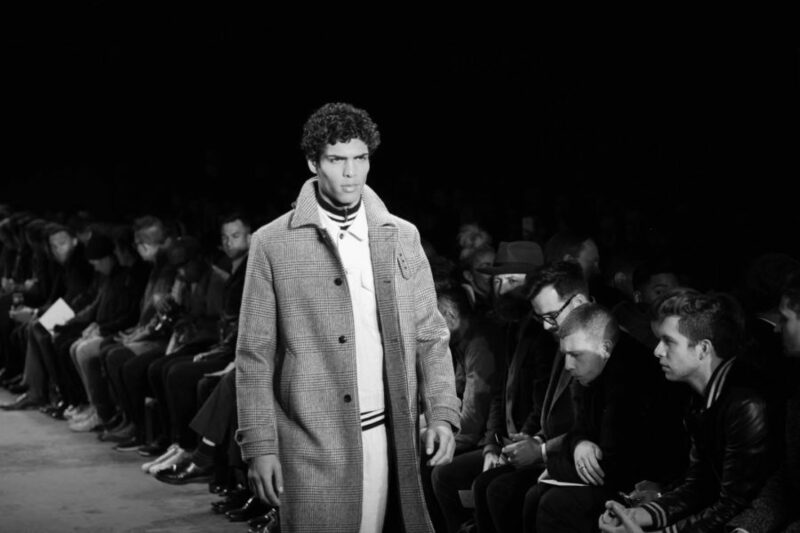 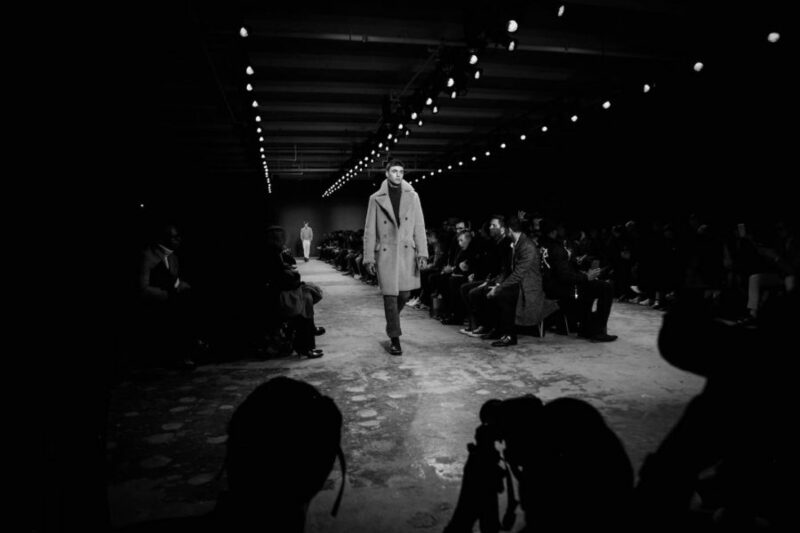 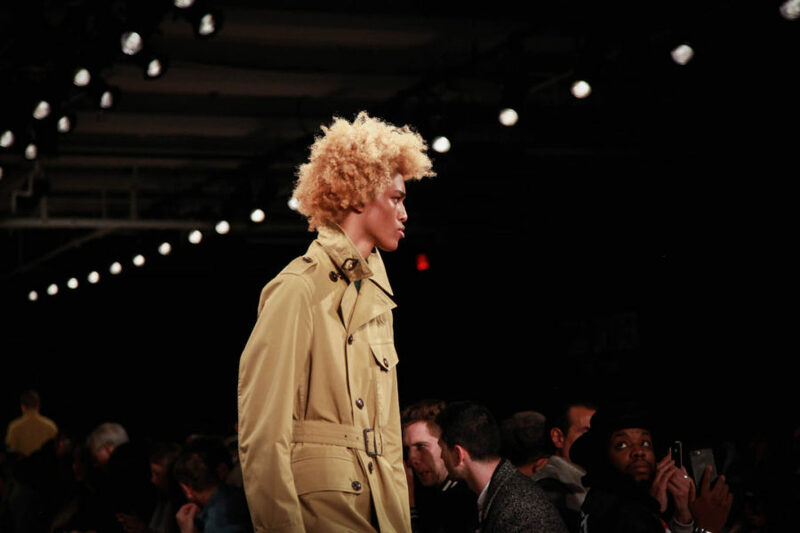 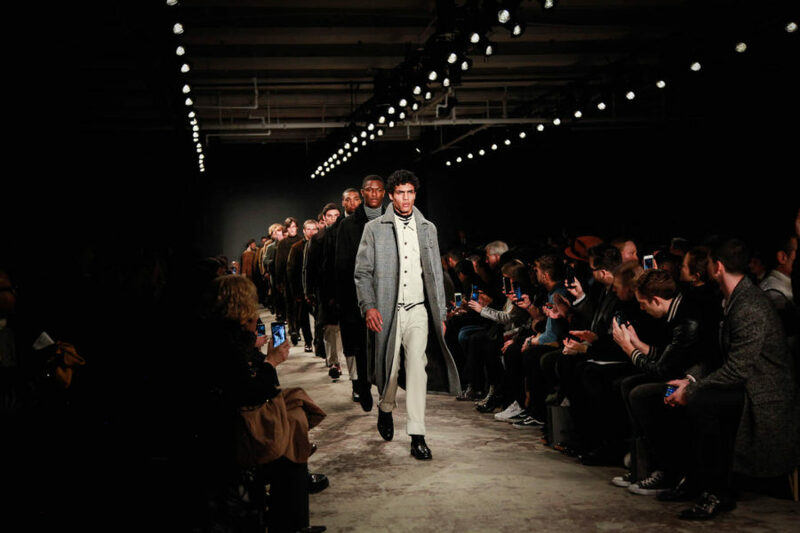 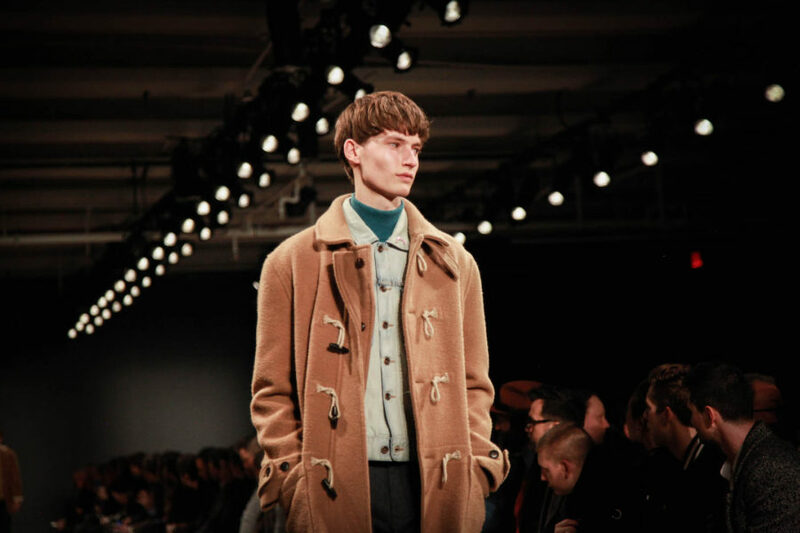 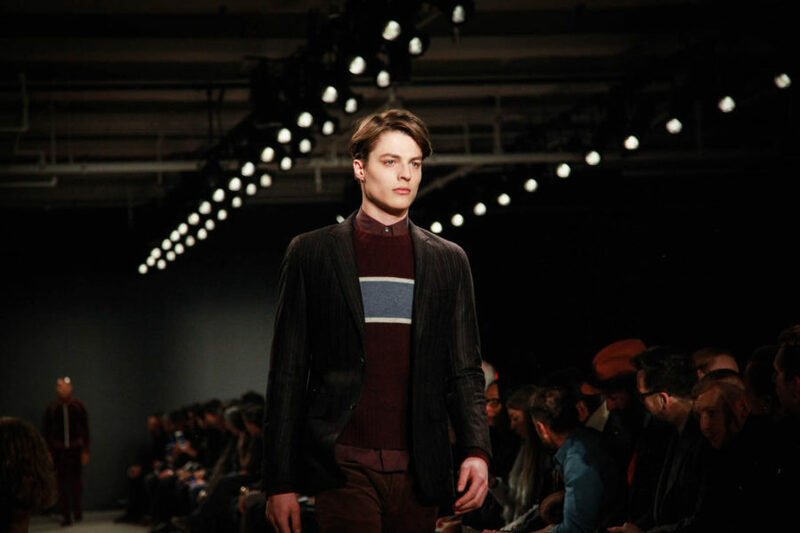 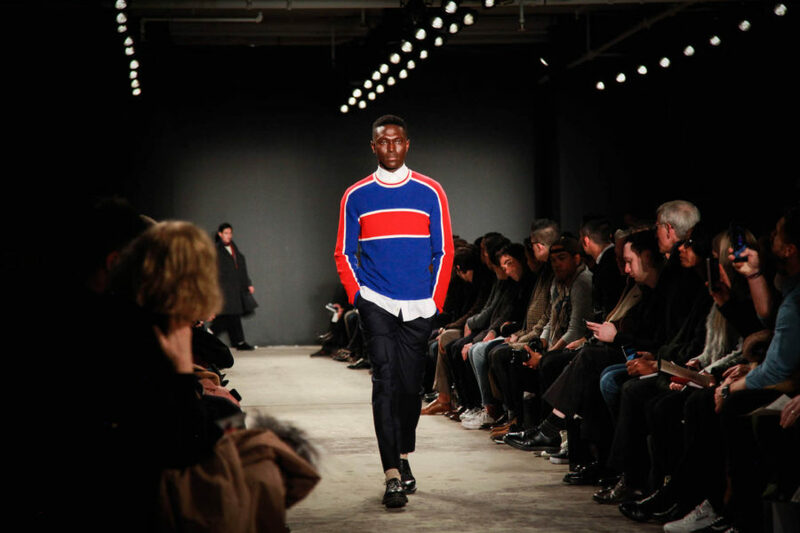 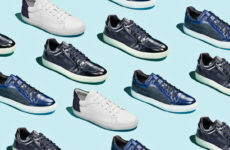 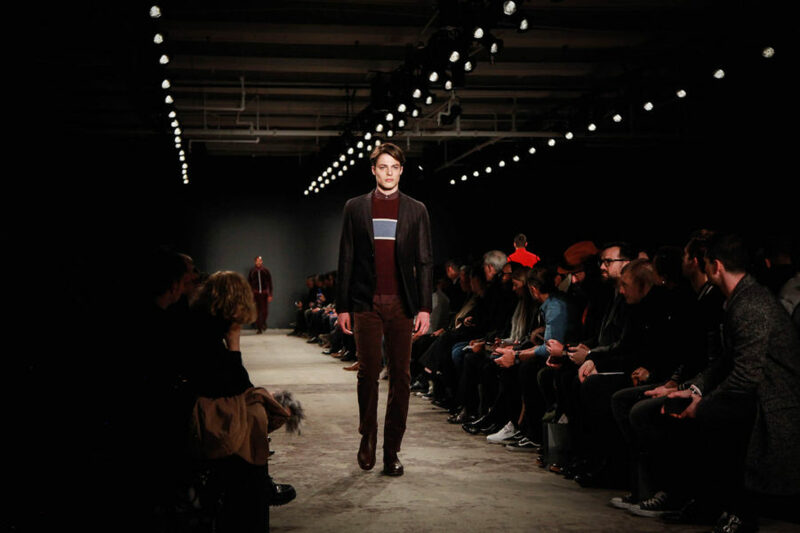 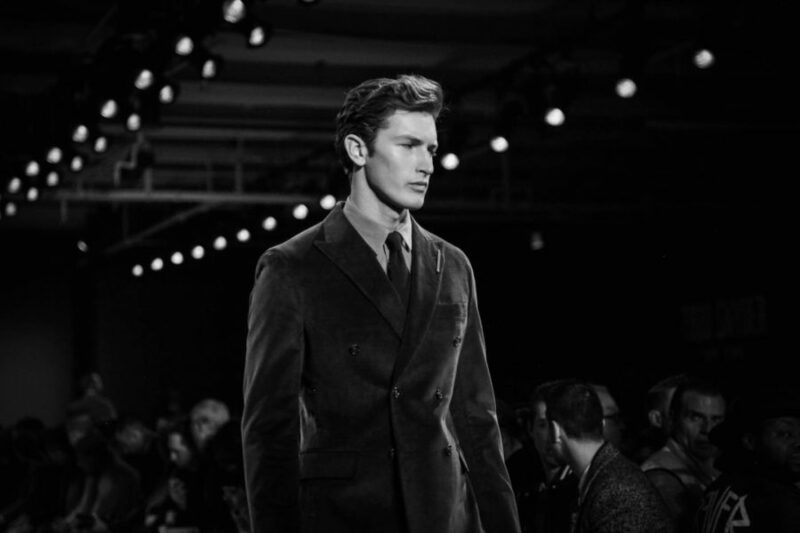 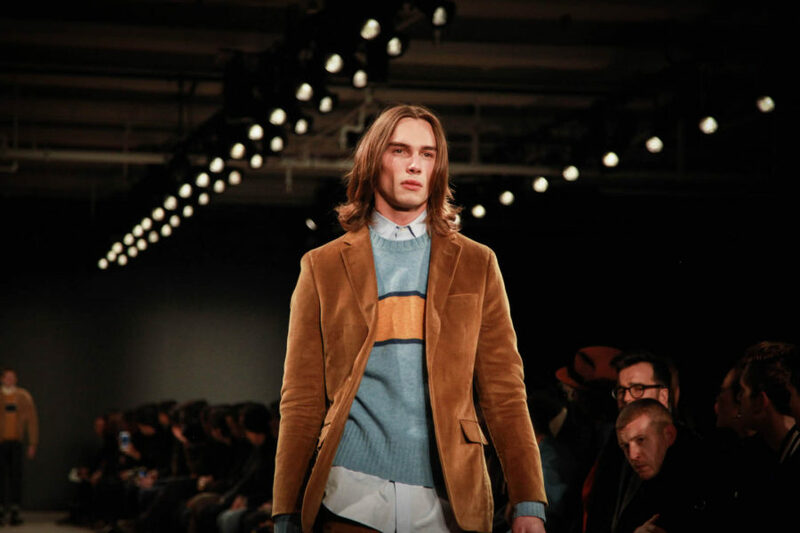 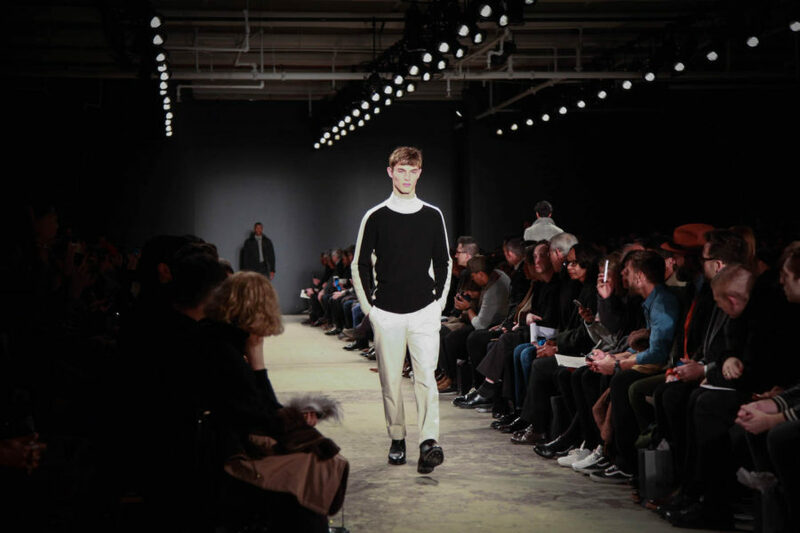 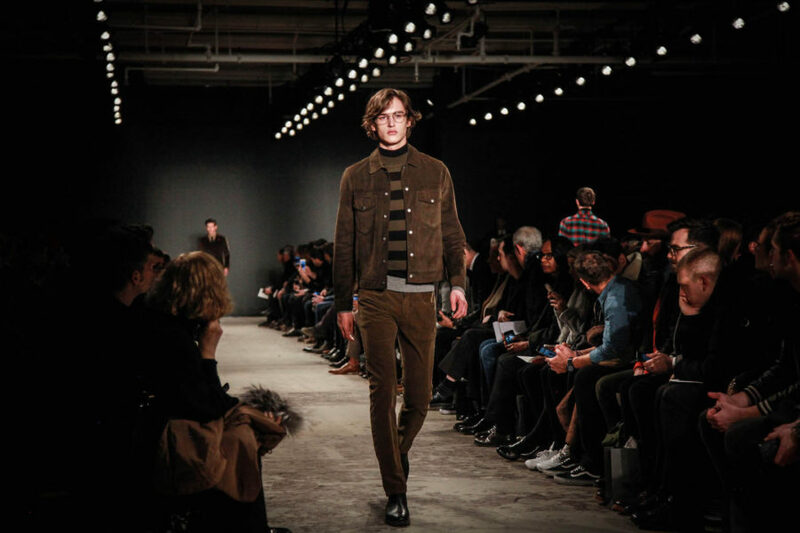 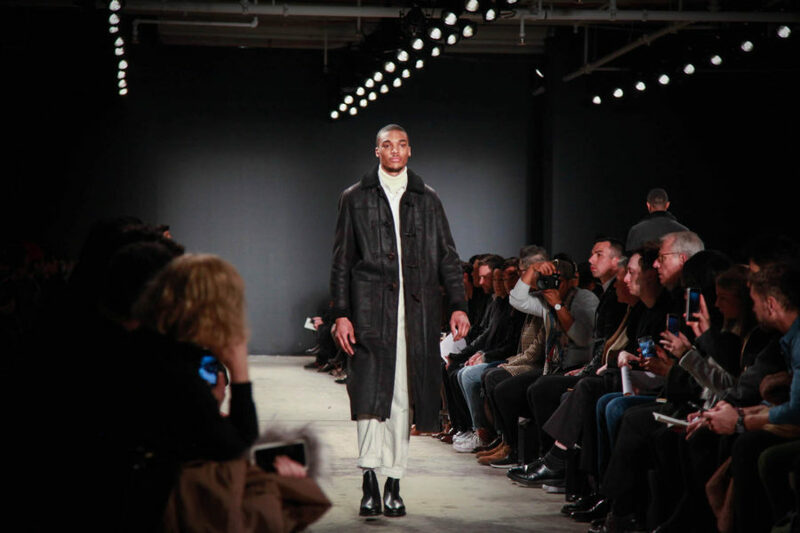 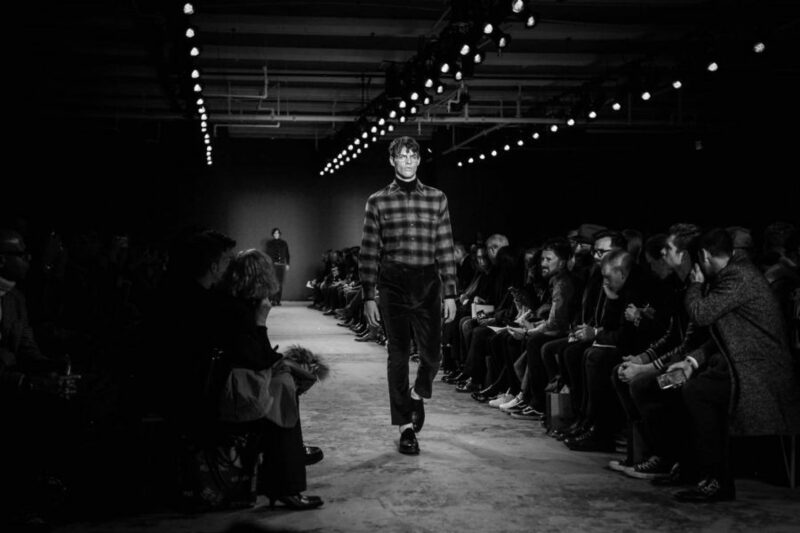 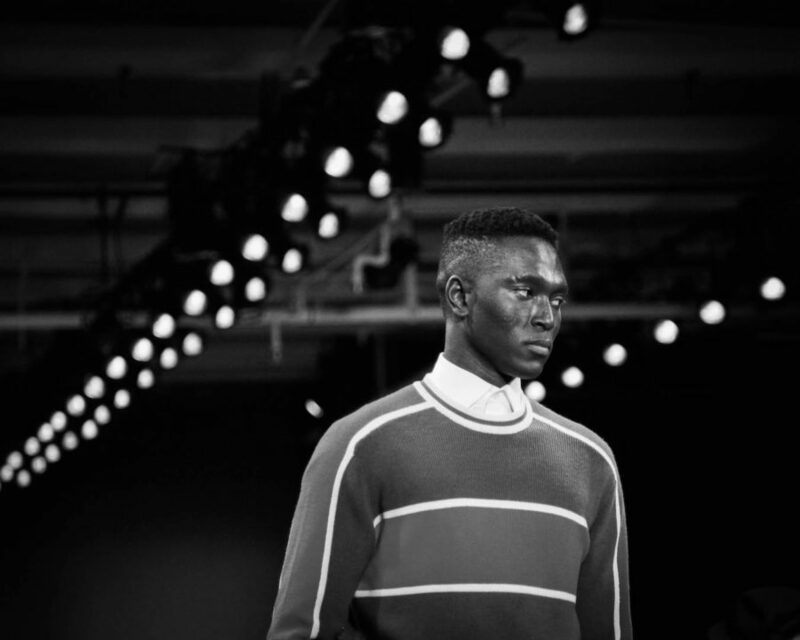 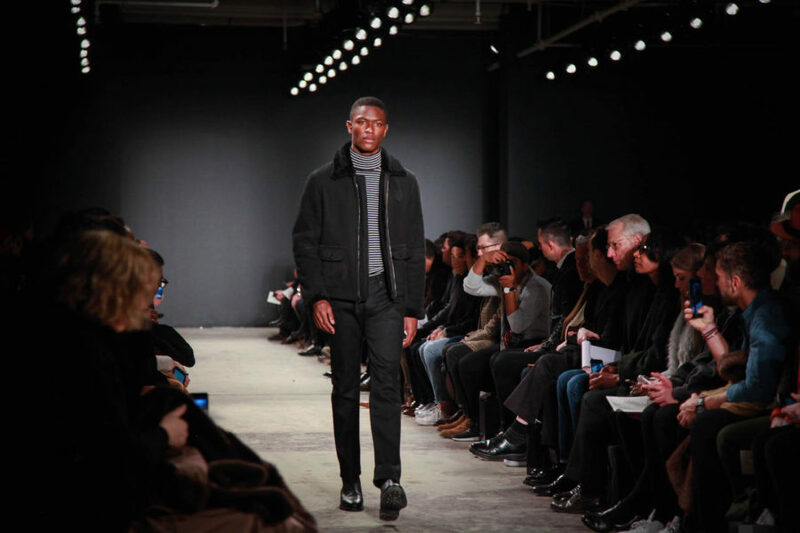 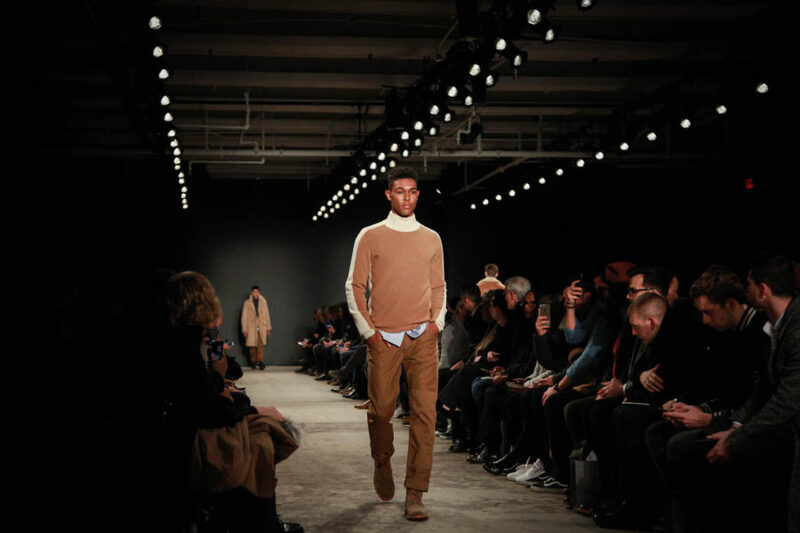 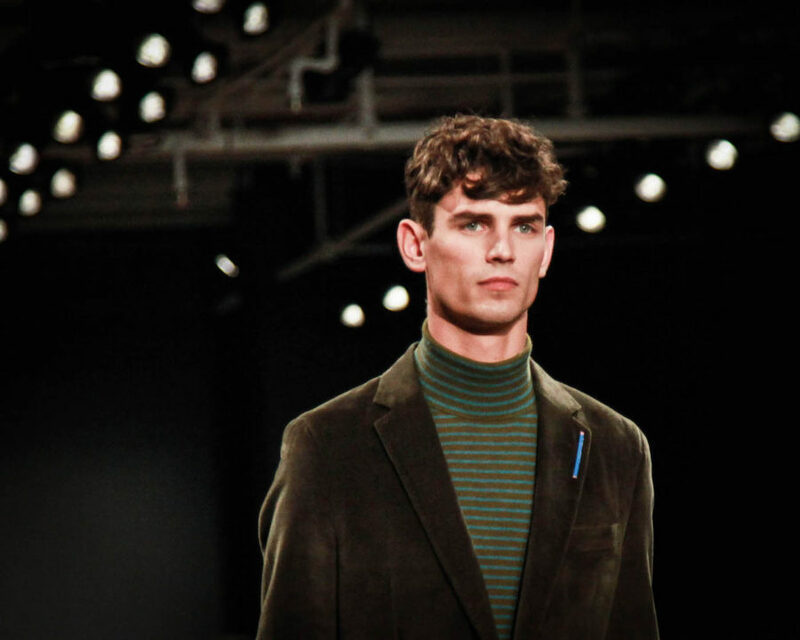 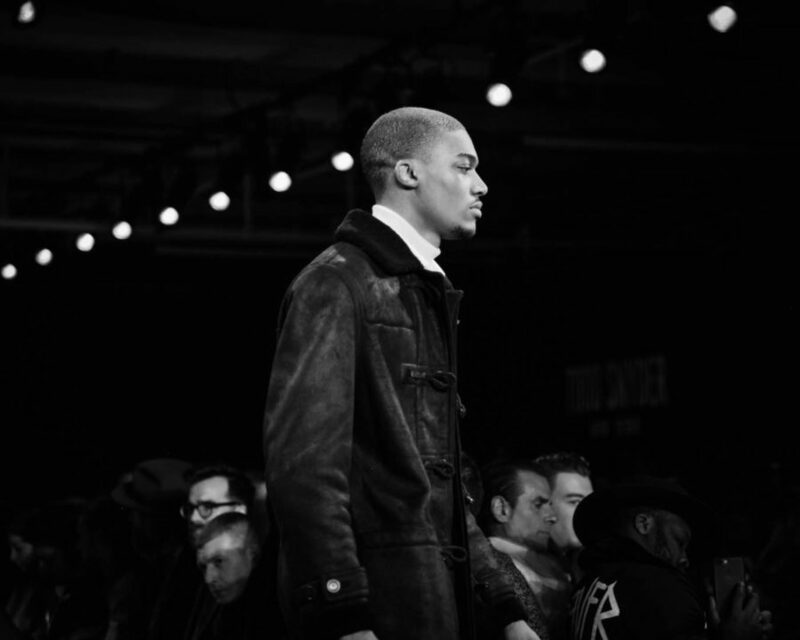 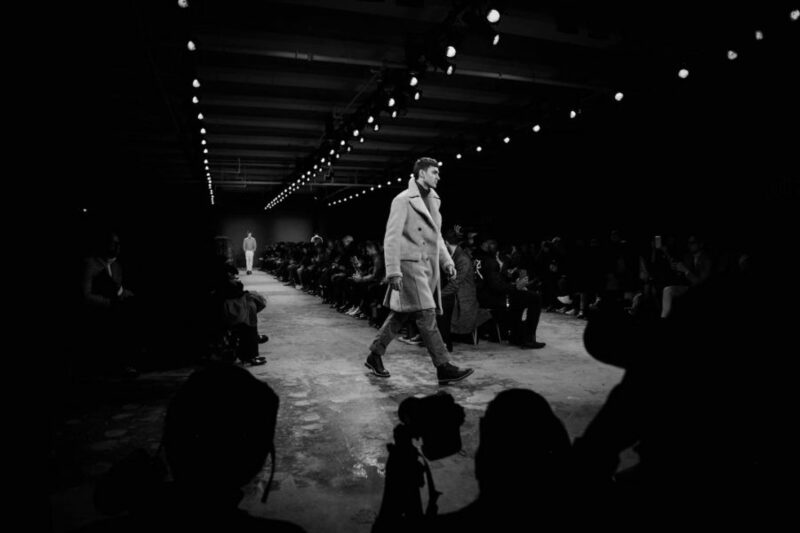 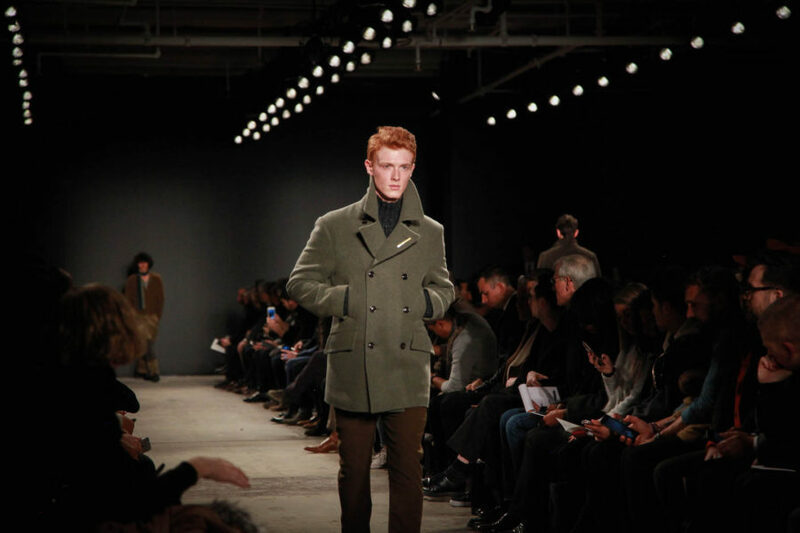 Snyder is one of the leading menswear designers on the New York calendar in terms of reach and recognition with a presentation setting that matched his ambition. 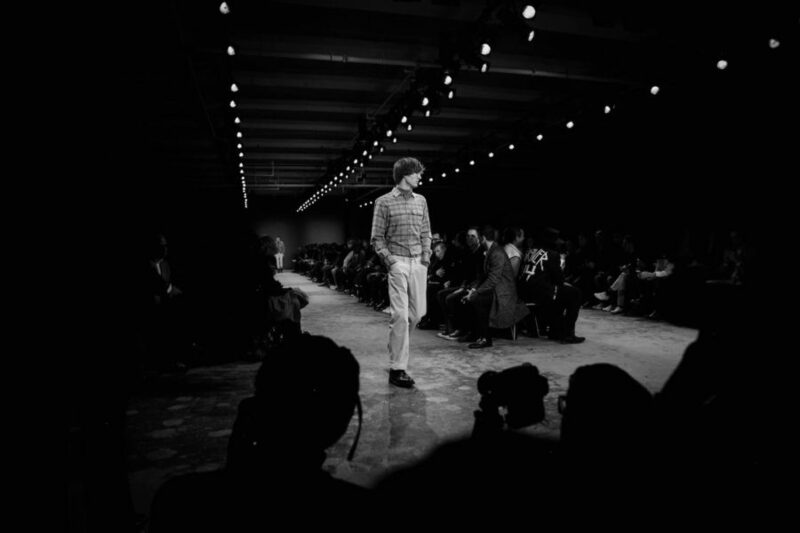 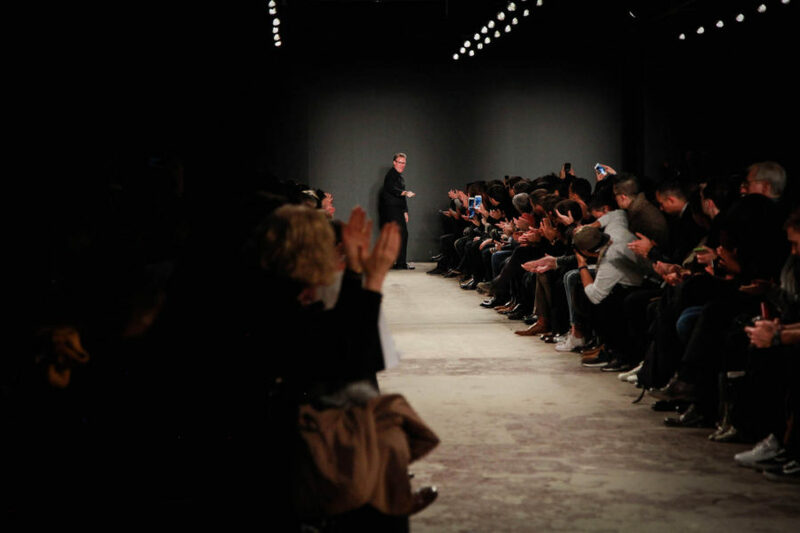 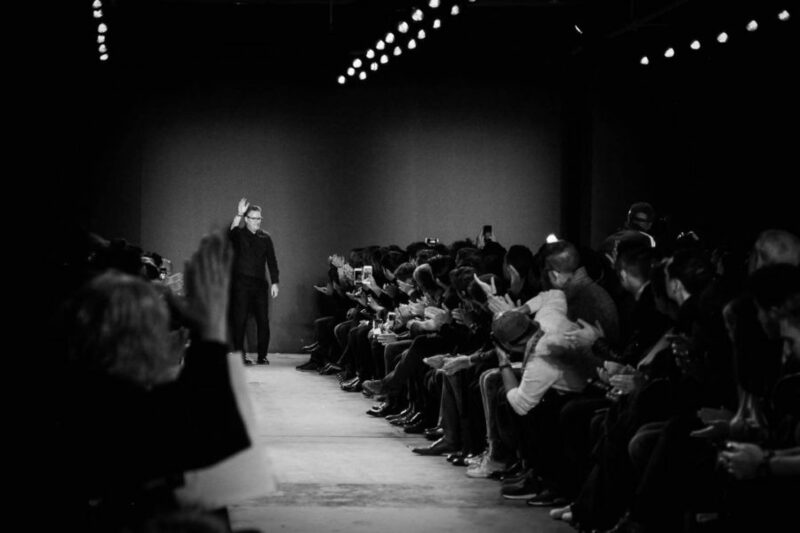 Rows of long black benches with show notes and seat numbers neatly laid out greeted throngs of guests as they descended on the moody space that would prove a pointed counterbalance to the clothes themselves. 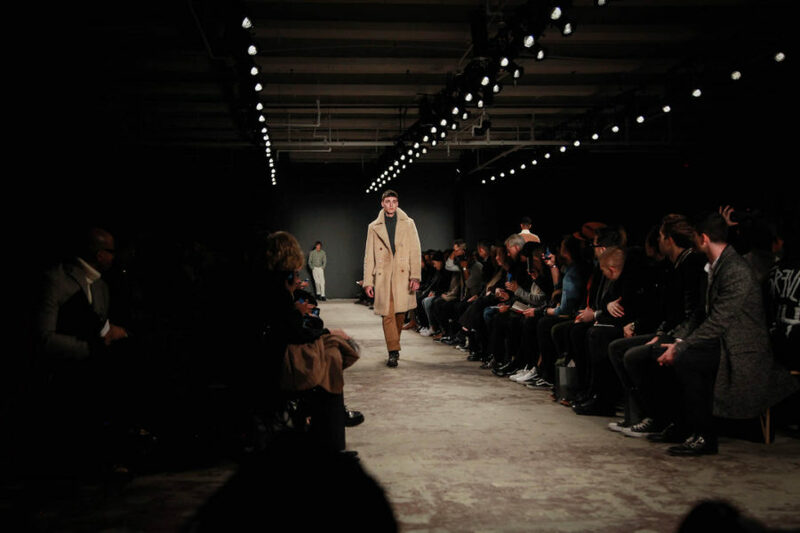 Snyder went back to his roots at Iowa State University for this particular collection where he discovered everything from the joys of thrift shop finds to music from the Cure all of which came through the clothes with precision. 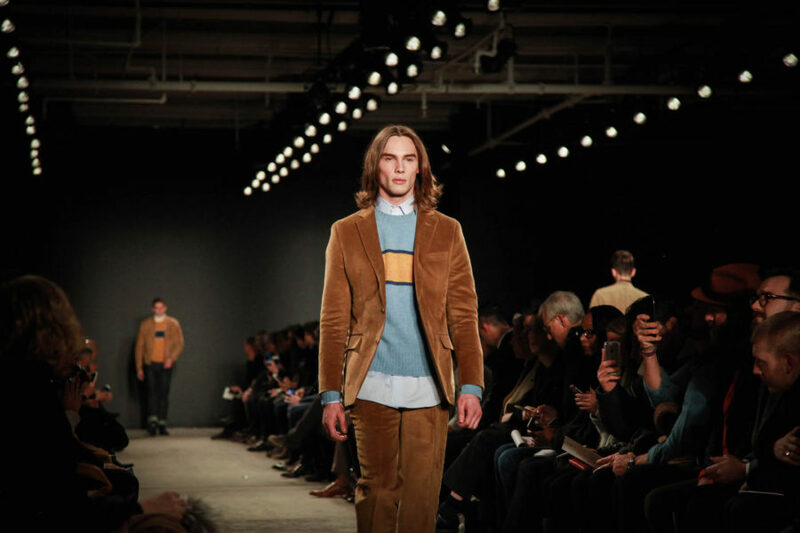 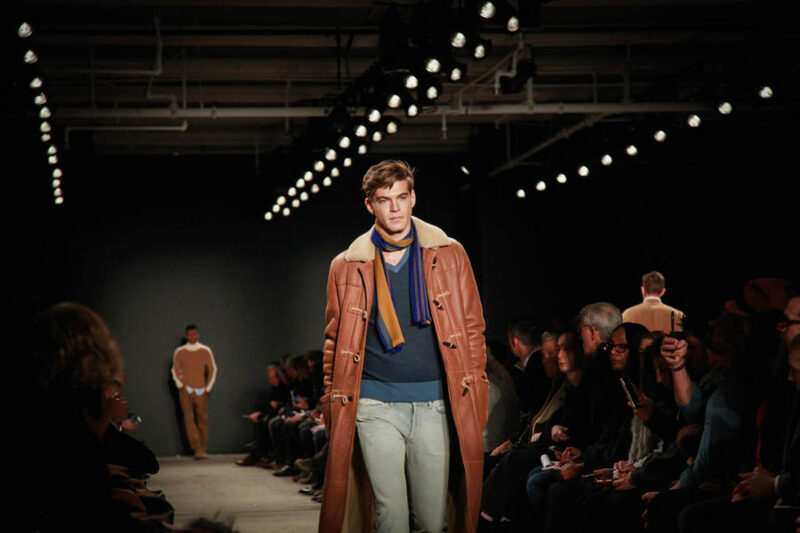 There was a late 70s/early 80s spin on everything from the slim track suits in camel velvet to a stunning shearling coat with the fur on the exterior to the narrow collegiate scarves tossed behind shoulders. 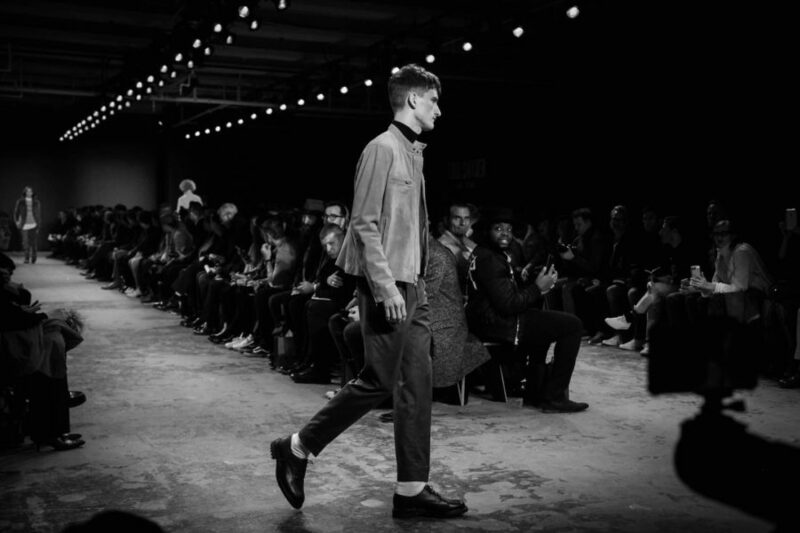 It was a comfortable balance of showpieces designed to excite and what is actually going to be hanging on the racks in a few months’ time. 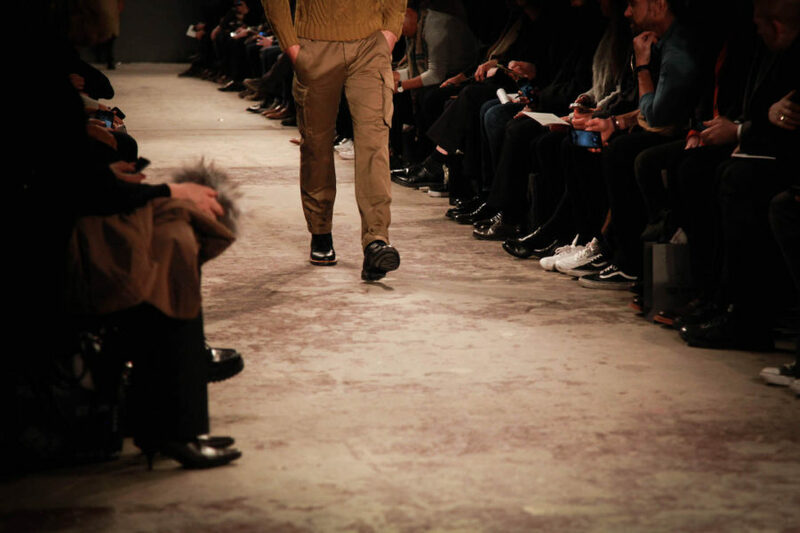 With day clothes the core message of this collection, Snyder seemed to offer comfort through the generous use of texture with corduroys in caramel tones, washed leather and great knits comprising a trinity of recurring elements that lent consistency while reinforcing the houses aesthetic codes.